I am happy to hold workshops in new venues and countries. 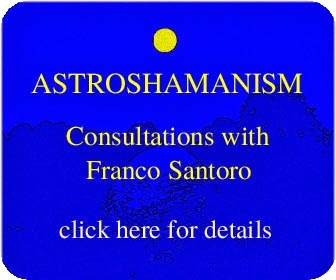 If you would like to organize a holistic or astroshamanic workshop, course or any event, please contact me at info@astroshamanism.org or read the information below. I am also available to offer nonprofit and volunteer astroshamanic healing events, sessions and community services in various places and centres around the world. 1. The Topic of the event, workshop, course. I can cover events and workshops on a large variety of topics related to spirituality, healing, meditation, shamanism, astrology, manifestation, sound, dance, energy work, relationships, sexuality, etc. Click here for a list of workshop proposals. I can also create events and workshops based upon specific requirements and themes. I am happy to connect with you by phone or Skype to discuss your intentions and needs in organising an event, so that you can verify if they can be met. 2. The Time: the time and date of the workshop, including multiple dates in the case of a training or course, can be set once the topic is identified. 3. The Venue is chosen according to what is more convenient for the organiser and the number of participants. I can adapt to a large variety of venues. 4. The Number of Participants: reaching a minimum number of participants is essential in order to allow the workshop to take place. For this purpose participants are usually asked to book the workshop four weeks in advance, leaving a non-refundable deposit. If the minimum amount of participant is reached four weeks before the date of the workshop, the event can be confirmed. The minimum number of participants required is between 8 and 12. There is no maximum number, so that once the minimum number is achieved, further participants can book and join the events as long as there is space in the group room or in the facilities involved. 5. The Charge: depends on various factors, including my expenditures (travel, accommodation, materials, etc. ), the organiser’s expenditures (group room, advertising, etc. ), the number of participants. I tend to be flexible in this respect and adapt to places and circumstances. 6. The Promotion of the event is done both by the organisers, using their contacts and tools, and us via our sites, pages, mailing list and, unless the organiser decide to prepare them, posters and leaflets. 7. The Preparation: This is an important and rewarding part of the organisation, which involves using the time before the start of the event as a spiritual experience. It is about being present and aligned with the intention of the event, developing inner and outer supportive connections, facing blocks and fears, unlocking and nourishing the healing energy that can contribute to the manifestation of a successful event. I will be involved with you in this process, available to provide more direct assistance if necessary. Thanks for taking the time to read the above, and please contact me if you need further information. For details about Franco Santoro please click here. Our holistic and astroshamanic workshops cover a wide spectrum of modalities and themes, including energy work, trance dance, drumming, core circle dynamics, shamanism, experiential astrology, spiritual discernment, life purpose and choices, conflict-resolution, nature-based spirituality, astroshamanic healing© touch, sexuality (bona fide sexuality), manifestation, relationships, healing, work on death and deep crisis. Astroshamanic tools can be employed with a large variety of contexts and topics, so that we can also create events and workshops based upon specific requirements and themes. We are very happy to welcome any intention and need you may have in organising events, so that they can be addressed and honoured, together with the basic integrity of our work.